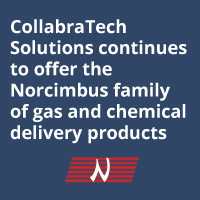 The client needed to add specialty gas and chemical distribution equipment (gas cabinets, liquid delivery systems, valve manifold boxes, bulk distribution systems) sales and service to complete its portfolio of products and services as well as compete effectively on larger new and expanding fab projects. CTS defined effective system configurations, creating a metric of gas and chemical species, control requirements, safety interlocks and operational sequences. Common panel layouts and several control platforms were developed and aligned within the vertically integrated supply chain partnerships to establish cost-effective products with aggressive lead times. The final step in the new partnership was to develop combined technical documentation, sales, installation and service training.